On Thursday 5th July the National Eisteddfod Cardiff held an event in the Exchange Hotel in Cardiff Bay to announce the shortlist of projects for the Gold Medal for Architecture Award. We are delighted the Glynn Vivian Art Gallery in Swansea project was shortlisted in this category. 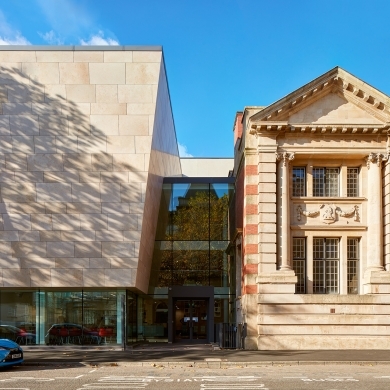 This project consisted of the refurbishment and restoration of the Grade II listed Glynn Vivian Art Gallery and 1974 Main Gallery together with a new build extension comprising community/ education space, new gallery space, administration, conservation studios, workshops and storage facilities, and incorporating the re-use of the former school building on Clifton Row. The scheme was completed in November 2016 and further details can be found under our projects section under Culture. The winner will be announced at the Cardiff National Eisteddfod of Wales on Saturday 4th August.